In this stand-alone, Resurrection Sunday sermon, Lead Pastor Joel Cauley teaches about two phrases in the Easter story with the power to redeem, restore, and renew our lives. We all know that words carry a lot of weight. The phrases “I love you” and “I hate you” are small words that pack a powerful punch and leave a lasting mark. Join us as we learn how “it is finished” and “He is risen”, words that were spoken thousands of years ago, can change our lives today. The ____________ of redemption was finished. The ___________ of redemption was finished. A - I'm already in a real relationship with Jesus. B - I'm beginning a real relationship with God today. C - I'd like to consider it a bit more first. D - I don't ever intend on making this decision. "What Would Jesus Undo?" begins Sunday, April 8th. STUDENT CAMP - SOLD OUT!!! If you have a rising 7th through graduating 12th grader who would like to be placed on the student camp waiting list, please email studentcamp@wearerelevant.org. Want to know more about Relevant Church? Relevant+ is our 4-week class to help you Become a Member, Engage in the Culture, Discover Your Purpose, and Find Your Place. 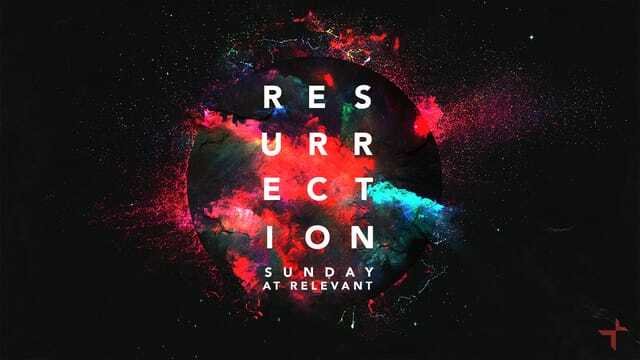 Relevant+ meets weekly at the conclusion of our 10:00 AM worship experience in the next steps room off of the lobby. Please consider giving online at the link below or text an amount to 84321 from your mobile phone. If you would like more information on Relevant Church or have a story to share of how God is working in your life, please click the link below, email us at info@wearerelevant.org or stop by the Next Steps table in the lobby.